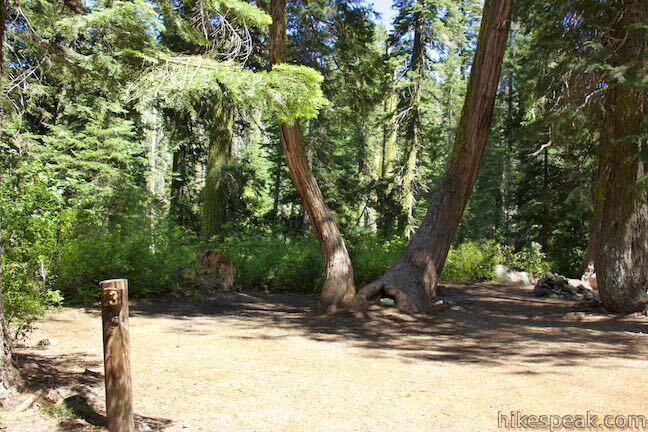 Find this cozy six-site campground set within a forest of pines and other conifers near Castle Lake, a beautiful glacial cirque lake in Shasta-Trinity National Forest. 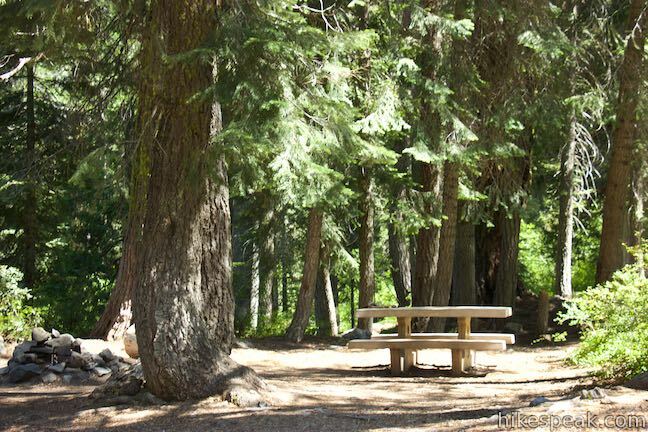 Castle Lake Campground makes a convenient base camp for hikes leaving from Castle Lake and the campground is a 20-minute drive from the city of Mount Shasta along Interstate 5. 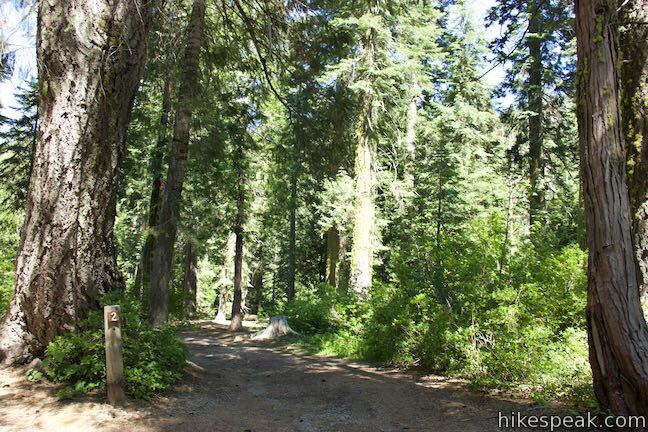 The six sites at Castle Lake Campground are located along a rough unpaved loop road that has steep sections unsuitable for trailers and RVs. 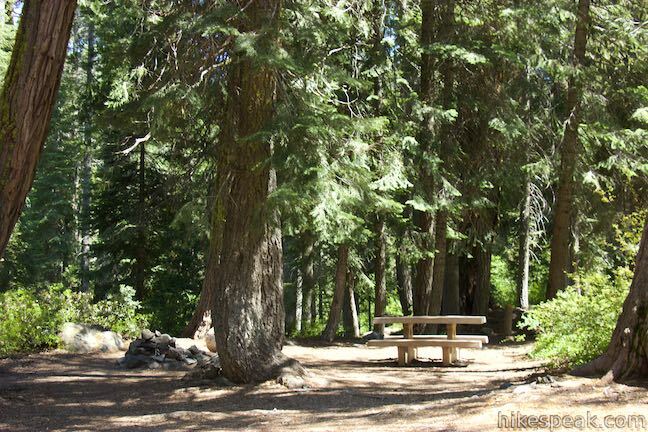 Each tent site has a picnic table and a fire ring. 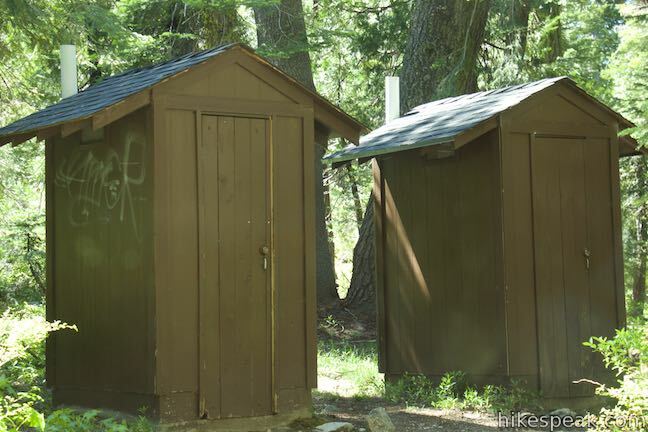 The campground has a pair of vault toilets. Drinking water is not available so bring your own water. Castle Lake Creek flows below the campground and can be used as a source for filtered drinking water. The campground does not have food storage containers or garbage collection, so keep food in your vehicle and pack out your own waste. No fee is charged to stay at Castle Lake Campground. The maximum length of stay is three nights. Sites are first-come first-served (reservations are not accepted). 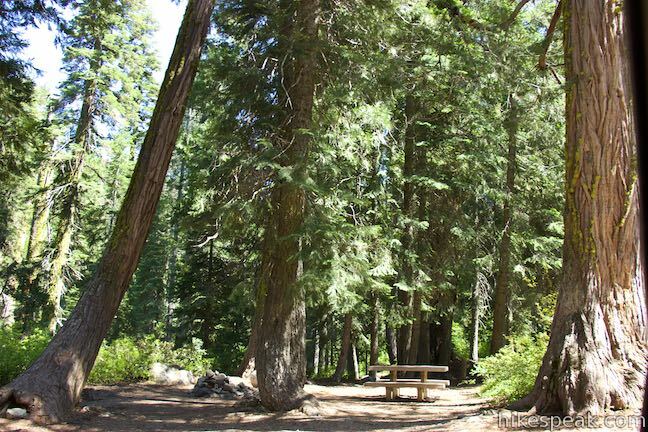 The campground is typically open from the end of May to the beginning of November, with a winter closure based on snow level. 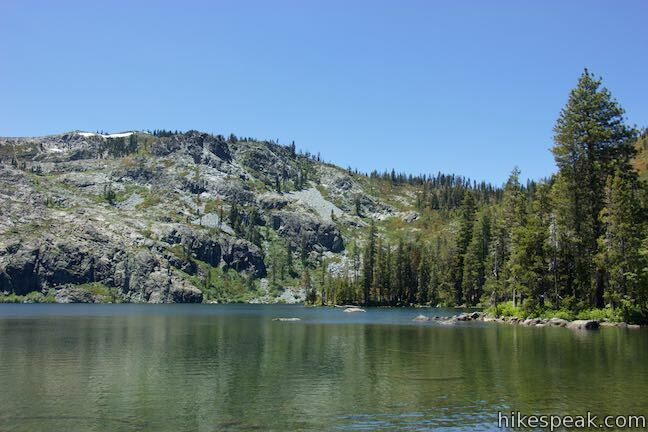 About a quarter mile up Castle Lake Road from the campground, you’ll find Castle Lake. 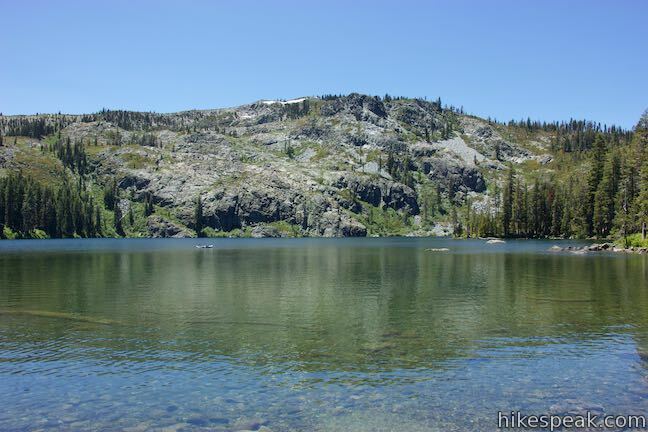 This lovely mountain lake is closed to motorboats but open to fishing and swimming. 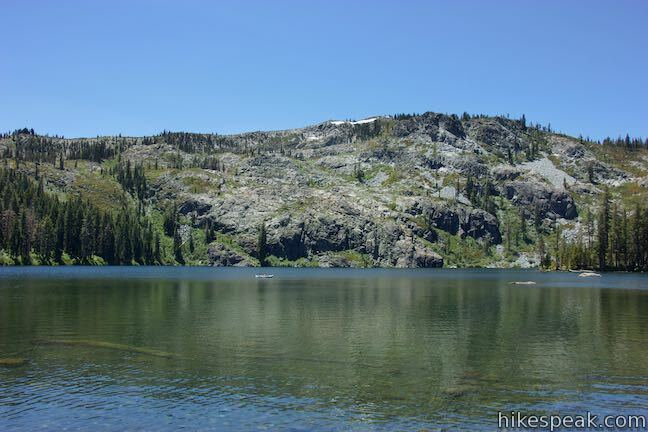 From Castle Lake, visitors can take short day hikes up to Little Castle Lake and Heart Lake or venture off trail to ascend to Castle Peak, a summit with incredibly panoramic views. 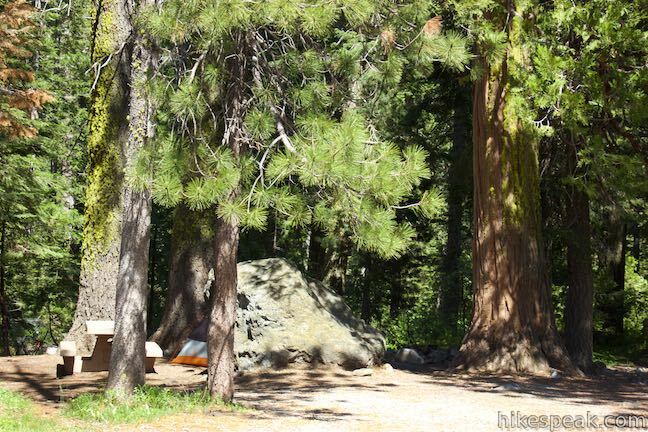 To get to the campground: Take interstate 5 to exit 73B in Mount Shasta. At the end of the offramp, head west (away from the city) on Lake Street toward Hatchery Lane, following signs for Lake Siskiyou. Turn left on Old Stage Coach Road and drive south for 0.2 miles. Veer right onto Barr Road and drive another 2.3 miles to Ney Springs Road. 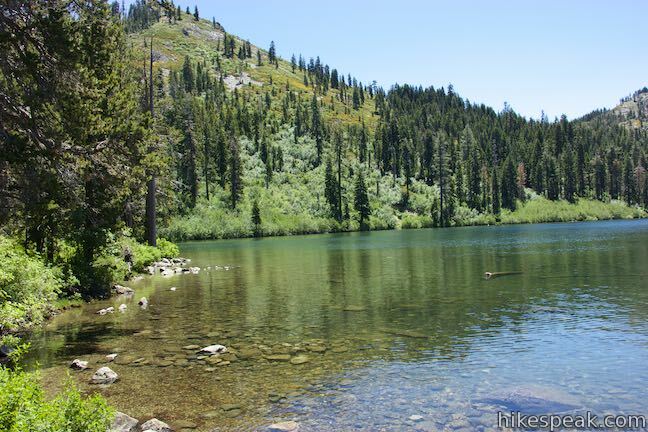 The intersection comes after you cross the outlet of Lake Siskiyou. Turn left up Ney Springs Road and make the next right onto Castle Lake Road. Drive 6.7 miles up to the campground, which is on the left, 0.3 miles from the end of the road at Castle Lake. These photos were taken in June of 2016. Click to enlarge.